Khalid will bring his Free Spirit Tour to the UK and Ireland in September this year in support of his highly anticipated sophomore studio album. British R&B stars Mabel and Raye have been confirmed as support across all dates. The multi-platinum-selling artist first entered the mainstream back in 2017 with his huge debut album American Teen and hit singles ‘Young Dumb And Broke’ and ‘Location’. The record earned him two Grammy nominations for Best Urban Contemporary Album and Best R&B Song. 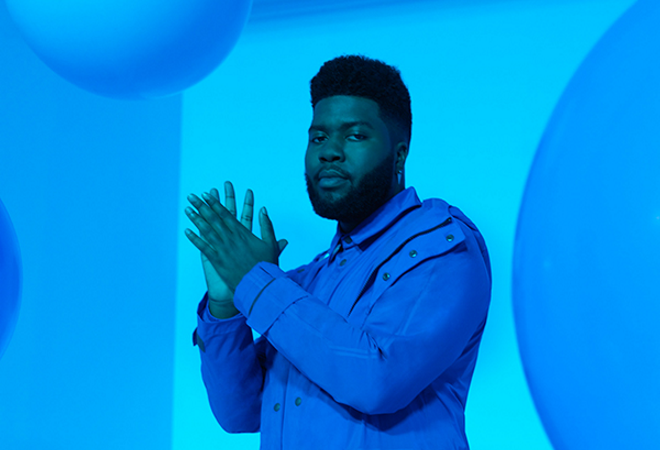 Khalid has since picked up a string of awards including a Billboard Music Award and an MTV Video Music Award for Best New Artist in 2017. The US singer-songwriter has collaborated with the likes of Billie Eilish, Logic, Marshmello, Alessia Cara and Calvin Harris. His Normani duet ‘Love Lies’ featured on the Love, Simon film soundtrack whilst ‘The Way’s with Swae Lea can be heard in Marvel’s Black Panther. He also scored a huge hit with his Benny Blanco and Halsey collab ‘Eastside’, which reached No.1 on the UK Singles Chart. The Free Spirit album officially dropped on 05 April 2019 and features hit tracks ‘Talk’, ‘My Bad’, ‘Better’, ‘Self’ and ‘Don’t Pretend’. The last time Khalid hit the road on tour in the UK he sold out two nights at London’s Eventim Apollo – don’t miss the chance to see him perform live at arenas across the country later this year!